Recently, I have a talk with my girlfriend regarding a few things about our future. She mentioned something that I feel is very important about treating everyday like a brand new day. Personally, I was hit by her words straight in the head as I have read about this theory before in some self-help books but I did not really apply it in my daily routines. What do I mean about treating your everyday like a brand new day? Everyday is actually a brand new day as the sun rise and set daily but do we actually treat our everyday like a brand new day? Most people will think that everyday is just another day in their lives but what we shouldn’t really do is bring our past experiences to the future which is the next day. Example like keep on thinking about the bad things that happened yesterday or even a few years ago and get affected by feeling depressed or low due to it. Personally, I have been putting a lot of mental weight on myself through the past bad experiences and I am feeling guilty about it too. Therefore, I have decided to learn to treat my everyday as a brand new day. Let me bring you to a situation where you will see a clearer picture of what I am talking about. Imagine you are a basketball player, if you keep on thinking about why you miss the shot previously in the first half, will you able to focus on the game in the second half and make a comeback? The answer will be no unless your opponent is not doing a good job. Therefore, we have to learn to turn our mindset around by focusing our energy in the right direction. I have given this method a try on a mahjong game last weekend and it seems to work for me. I have lost in the first few round of the game but the game has not ended yet as it is still quite early in the game. I change my mindset and stop focusing my mind about the games I have lost in the first few round. I focused all my energy on the next few games and the overall game results turned out to be me as the overall winner. I think that all of us should focus our mind in the right direction and stop letting those negative thoughts from bringing us down. I will start implementing this findings and will update again if I do see a big change in my life in the upcoming future. P.S. 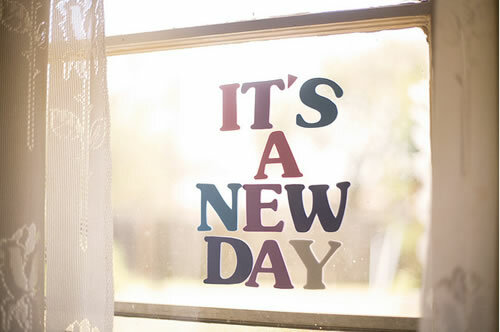 Do remember to remind yourself today is a brand new day! !